Bobalik, Helen 4/13/1927 - 6/26/2017 Helen (Parker) Bobalik- age 90, passed away peacefully at Hospice House of Shiawassee County on June 26, 2017. An Office of Christian Burial (Funeral) Service will be held on Saturday, July 1, 2017 at 10am with one hour of visitation prior to the service at St. Michael the Archangel Byzantine Catholic Church 2333 N. Elms Road, Flushing, Michigan. The Very Reverend David A. Hannes, pastor of St. Michael's will be officiating the service. Interment will take place at New Calvary Catholic Cemetery in Flint, Michigan. Helen was born on April 13, 1927 in Lupton, MI. She was one of 13 children of Alexander and Mildred (Markendorf) Parker. Helen married the love of her life, Joseph Bobalik on September 24, 1949. They first met while dancing the night away and they continued this passion for dancing for the rest of their lives. Helen loved spending time with her brothers, sisters, and their children. Many nights were spent playing cards, mostly euchre, at tables filled with her siblings and their spouses, who were most of the time pitted against each other! Helen's nieces and nephews often joined in the fun. Helen was a wonderful woman who will be deeply missed by all who had the pleasure of knowing her. She is survived by her children: Pamela (Thomas) White, Mark Bobalik, Lana (Ted) Fattal, Julie Hall; 9 grandchildren; 11 great-grandchildren; siblings: Jane Short and Richard (Mildred) Parker; sister-in-law, Marian Parker and Ann Bobalik; brother-in-law, Andrew (Patricia) Bobalik. Helen was preceded in death by her husband, Joseph Bobalik; son, Joseph; siblings, Bernard, George, Alexander, James, LaNora, Theora, Marion, Ruth, Vivian, and Barbara. In lieu of flowers, donations can be made to St. Michael Byzantine Catholic Church, Hospice House of Shiawassee County, or to the family to go towards medical expenses for Helen's son. Junior G. Clemens, 89, of West Branch, MI passed away on Thursday, May 4, 2017 surrounded by loving family. He was born on February 14, 1928, the fifth of eight children to Clayton and Minnie Clemens of Prescott, MI. He graduated from Hale High School with the class of 1945. Junior married Marie Rau on April 26, 1952 at St. Joseph Catholic Church in West Branch. They remained living in West Branch and raised seven children. 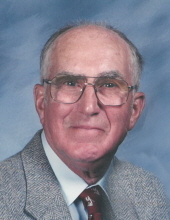 Junior retired in 1992 from Farm Bureau Insurance after 42 years as an agent. He was a member of St. Joseph Catholic Church, Knights of Columbus, and Kiwanis. Junior was active with St. Vincent DePaul, Hospice of Helping Hands and served on the church finance board and the cemetery board. He enjoyed hunting, farming, and keeping busy. He loved gardening and being able to give the items away. Junior is survived by his sons, Ivan (Gina), Olen (Bonnie), Arlo (Susan), and Eric (Shelly); daughters; Luana (Elton) Lawe and Veda (Peter) Keefe; daughter in law, Michele Clemens; 18 grandchildren, 21 great grandchildren, 2 sisters, many in-laws, nieces, nephews, extended family and special friends as far away as Africa and South America. He is preceded in death by his wife, Marie in 2015 and son, Neil in 2016, parents and 5 siblings. Visitation at Steuernol & McLaren Funeral Home in West Branch will begin on Monday, May 8, 2017 from 1:00 p.m. to 8:00 p.m. A K of C Rosary will be held at 7:00 p.m. On Tuesday, May 9, 2017, Junior will lie in state at St. Joseph Catholic Church in West Branch beginning at 10:00 a.m. until the Celebration of Life Mass at 11:00 a.m. Father Patrick Maher will officiate. Burial will be at St. Joseph Cemetery. Pat McKenna, age 88, passed away peacefully on March 7, 2016 with wife, Bernie, daughter, Peggy and son, Nonie at his side. 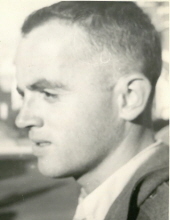 Pat was born in West Branch to Jesse and Caddie (Carroll) McKenna on December 12, 1927 in West Branch, MI. He served his country during WWII in the Merchant Marines. After he got out of the service, he lived most of his life in West Branch where he was a member of the original organizing committee of our current Little League Program. He was also long standing member of Moose Lodge #2051 where he served as a past governor. Pat was employed by Consumer Power Co. and The State Highway Department. Then he began working for Saginaw Asphalt in 1951. Later, he went to work for Central Paving in West Branch. After working for Central Paving for 30 years, he retired and he and Bernie retired to Florida where they lived for approximately 20 years. Pat loved hunting and golfing in Michigan and later enjoyed golfing in Florida and fishing off the dock at Cedar Key, Florida. Pat is survived by his loving wife Bernie McKenna, daughter Peggy (Fred) Hegeman of Lake Ogemaw and son Nonie (Margie) McKenna of West Branch. Grandchildren: Michelle Hegeman Wade, Kirsten Hegeman Coll, Tonia Hegeman Schemer, Sarah Hegeman Sadler, Chris McKenna and Jesse McKenna. Great Grandchildren: Jennifer Casto, Emily Wade, Chloe Schemer, Abby Schemer, Lexie Schemer, Morgan Coll, Charlie Sadler, Jake Sadler, Loic McKenna, Claira Elly, Aiden McKenna and Chad Schumacker. 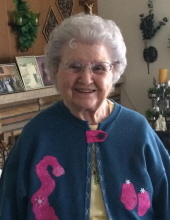 Georgina Elaine Ehinger, age 88, passed away on Tuesday, December 16, 2014 in West Branch, MI. She was born to Clarence and Alvena Fournier in Ogemaw County, MI on August 9, 1926. On June 28, 1947 she married August E. Ehinger at St. Joseph Catholic Church in West Branch. Georgina enjoyed playing cards and spending time with family especially her grandchildren. Georgina is survived by her children: Darrel E. (Amy) Ehinger of Essexville, MI, Ronald D. Ehinger of Ewen, MI, Debra A. (Clayton)… Meir of West Branch, MI and Tammy A. (Scott) Savage of Williamsburg, MI; 7 grandchildren and 12 great grandchildren. She is preceded in death by her parents, Clarence and Alvena; husband, August; grandson, Scott Ehinger; and siblings, Clarence Fournier Jr., Gerald Fournier, Ted Fournier, and Theresa Blair. 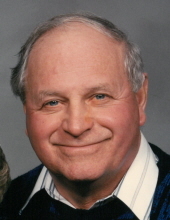 Frederick Dean Switzer, age 87, passed away on Sunday, November 2, 2014 at Bortz Health Care in West Branch, MI. He was a lifelong resident of Prescott, MI. Dean was born to B. Clyde and Grace (Dodds) Switzer on September 22, 1927 in Prescott. On June 30, 1945, he married Bernice M. Caverly in Prescott and this year they had celebrated 69 years of marriage. Dean was a member of the Zion Church of the Brethren and enjoyed fishing, hunting, and wood working. He was a cabinet and furniture… maker and retired from the Pontiac Mill Work after 22 years. Dean also enjoyed traveling and spending time with his family. He loved each and every one of them dearly. 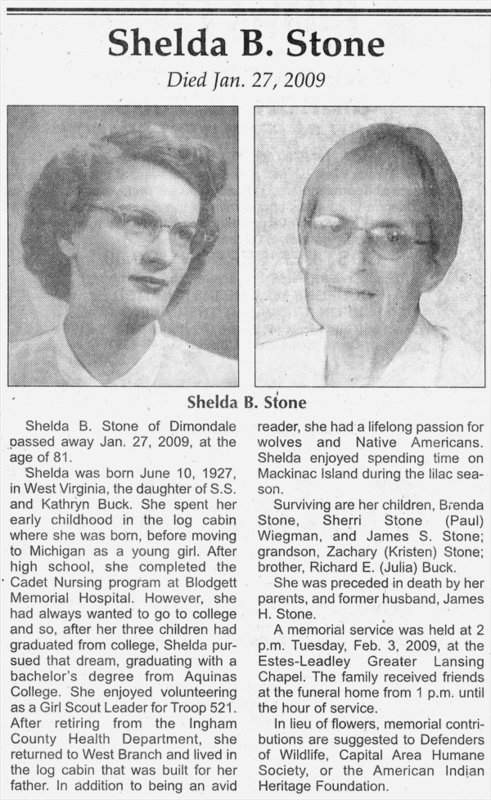 Dean is survived by his loving wife, Bernice Switzer of Prescott, MI; children: Carol Switzer of West Branch, MI, Cynthia (Mike) Hinton of Alger, MI, Kevin (Janet) Switzer of Prescott, MI, and Tracy (Rod) Good of Prescott, MI; grandchildren: Jim Deneen, Heather Deneen, Stephanie Deneen, Dean Switzer, Tina Bauer, Tammi Krawczyk, Shane Hinton, Luke Switzer, Clyde Switzer, Jacob Switzer, Allen Good and Elizabeth Good; and 15 great grandchildren. He is preceded in death by his parents, son, Gary Switzer, and four brothers: Shirley, Robert, Harold and Ivan.